In recent weeks the Lord has convicted me about my prayer life. Because He knows my temperament and my heart, He is gentle with me but persistent. He invites me to an even deeper relationship with Him, and He encourages me to pray more boldly. In the Gospel today we hear the disciples say to Jesus, “Lord, even the demons are subject to us because of your name.” (Luke 10:17) The name of Jesus is mighty and powerful, sisters. In reply, Jesus says, “Behold, I have given you the power ‘to tread upon serpents’ and scorpions and upon the full force of the enemy and nothing will harm you.” (Luke 10:19) Stop and let that sink in. This is intense! This is a battle we are talking about – a spiritual battle, and the disciples are fighting it. We, too, are called to fight this spiritual battle, sisters. How? With our prayer. To be honest, I have trouble completely wrapping my mind around it. God, our Father, revealed to us by His Son, has invited you and me to take part in His mission. We underestimate the power of our prayers! 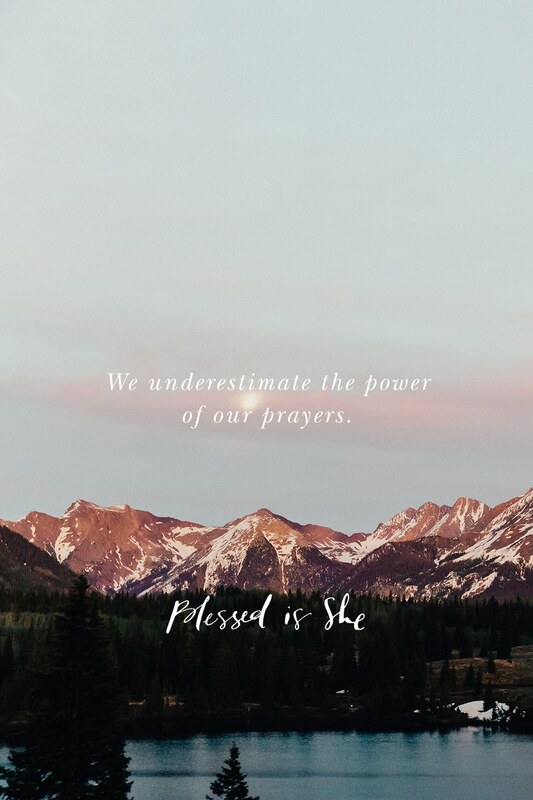 (And the enemy sure as heck does not want us to realize the power we have been given in the gift of prayer.) We fail to recognize the authority God has given us as His daughters—not as slaves, not as orphans, but as His own. “Blessed are the eyes that see what you see.” (Luke 10:23) We are mightily blessed, sisters. We have seen Jesus, and we know Him as our Lord. We know God as our Father. What a gift. Let us not take this for granted. Let us allow this knowledge to transform the way we pray. “As your hearts have been disposed to stray from God, turn now ten times the more to seek him.” (Baruch 4:28) Spend some time in prayer today. Be bold, sisters.